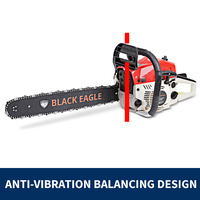 Your days of manually felling trees are over. 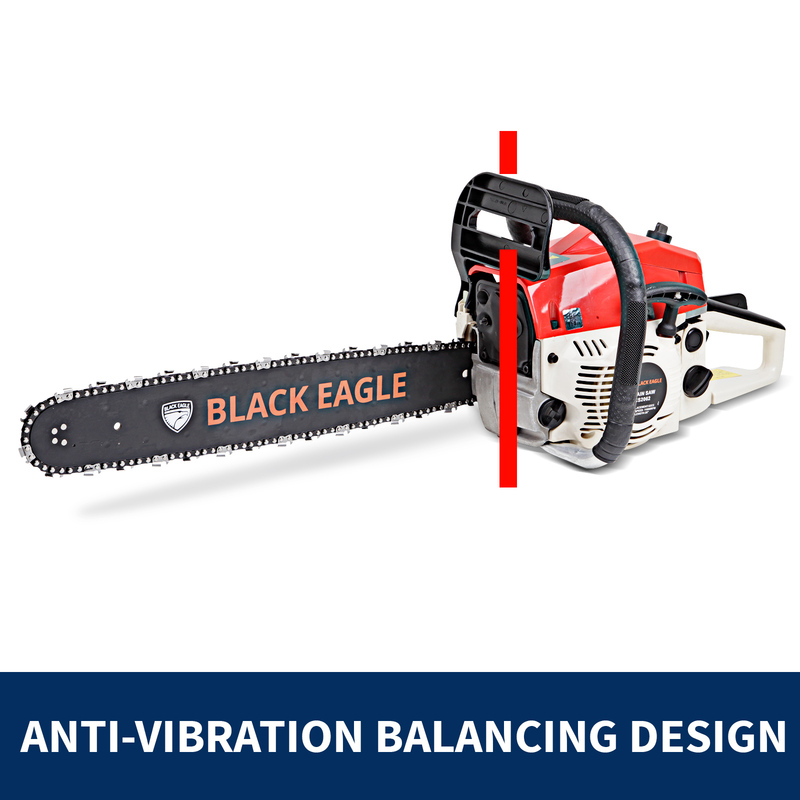 No more breaking your back hacking at dead tree branches. 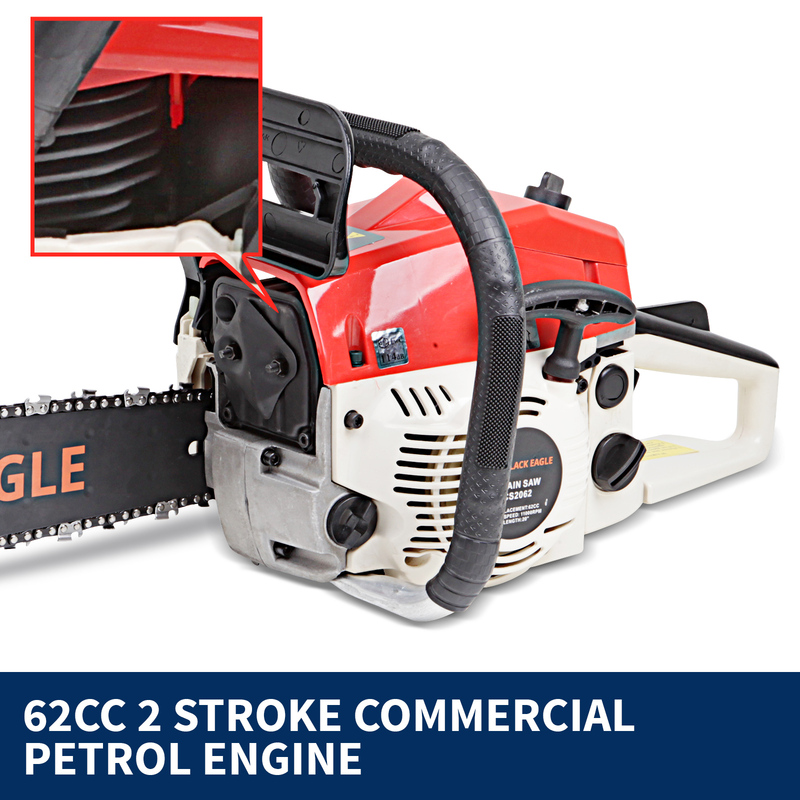 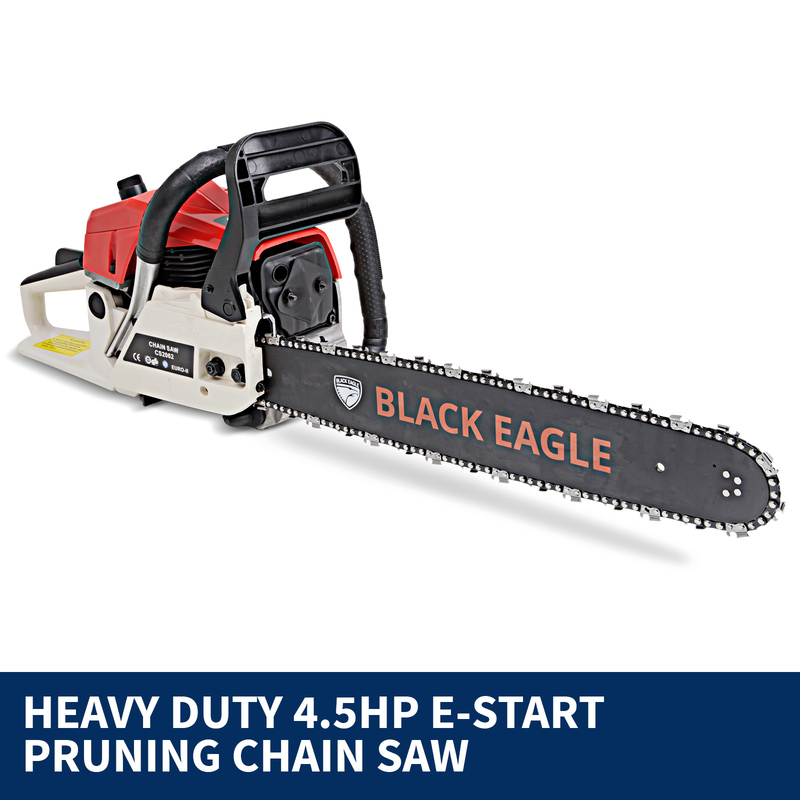 The new Black Eagle 62cc petrol commercial 20” bar E-start chainsaw makes pruning and cutting branches quicker and easier than ever before. 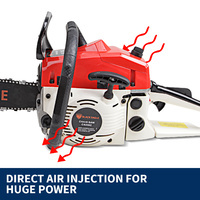 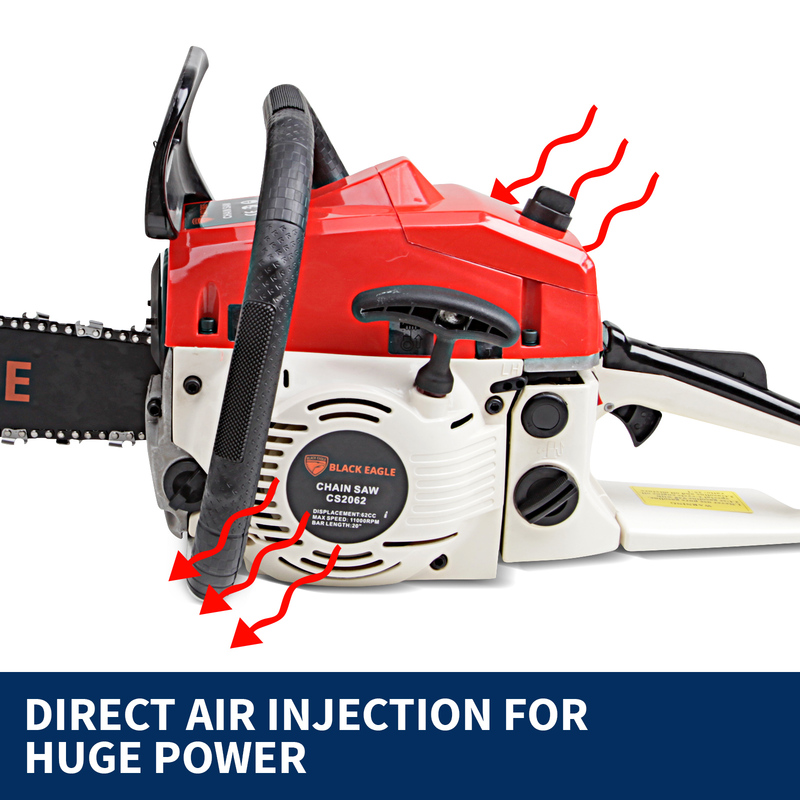 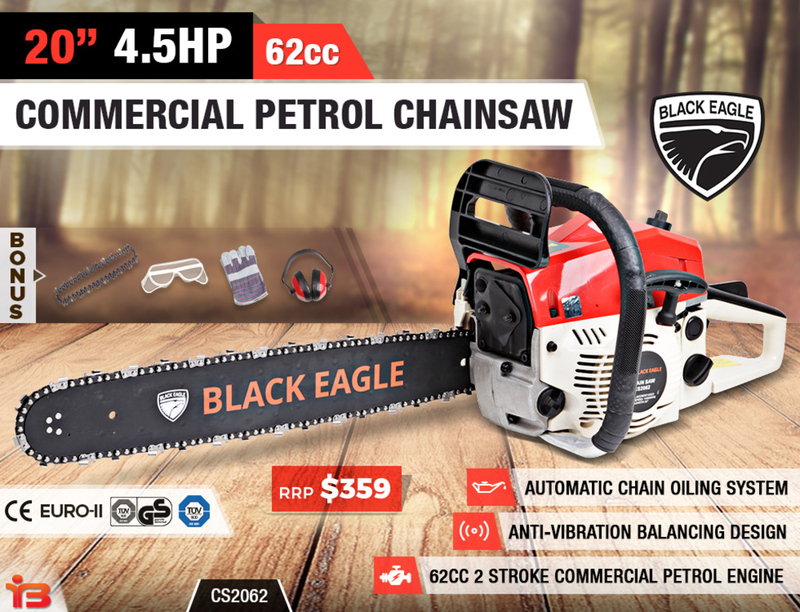 The Black Eagle chainsaw has direct air injection for greater power as well as an easy start-pull system with an auto throttle lock for added safety and comfort. As an added bonus your Black Eagle Chainsaw comes with an extra chain and safety pack! 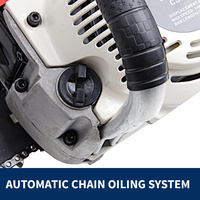 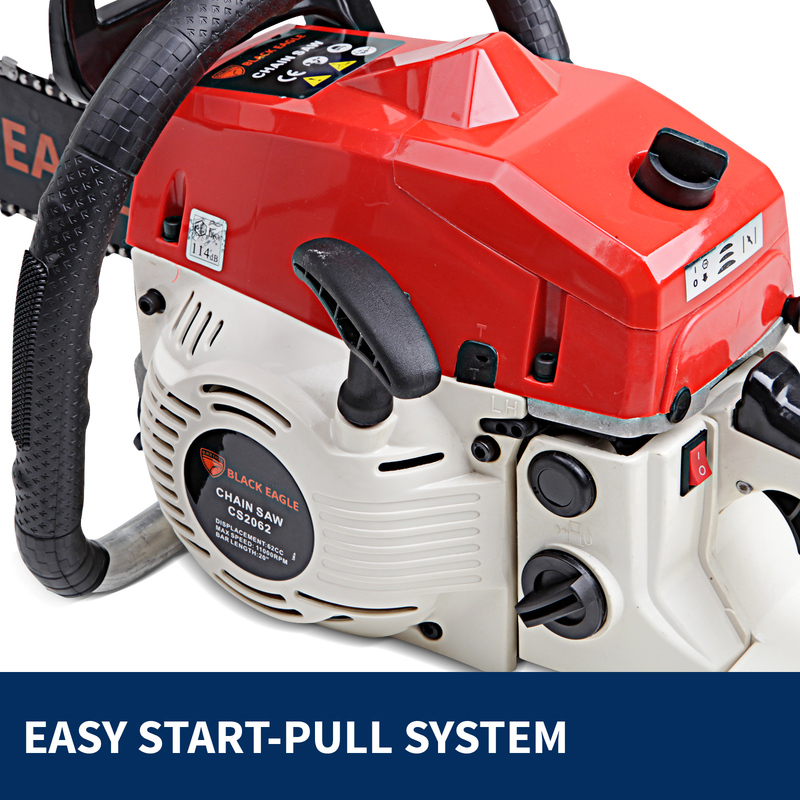 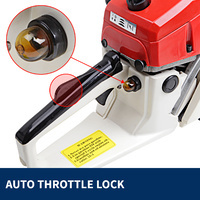 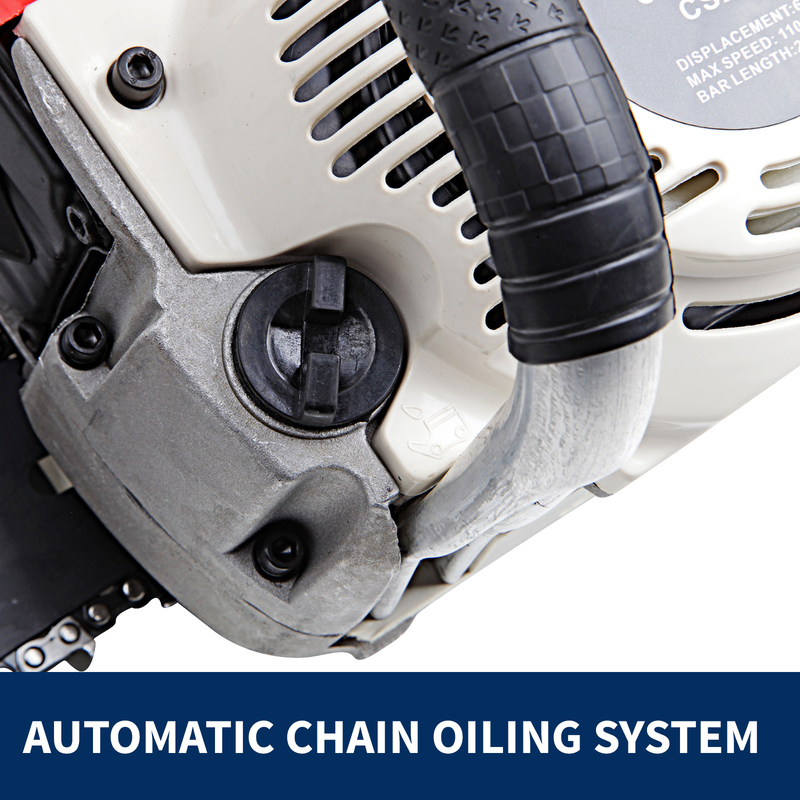 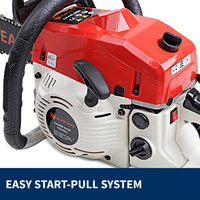 The automatic chain oiling system and anti-vibration balanced design will ensure that your chainsaw keeps running smoother for longer while enhancing the user experience and increased ability for precision work. The 2-stroke petrol engine has a maximum power output of 4.5hp and a generous maximum speed of 11000 rpm. 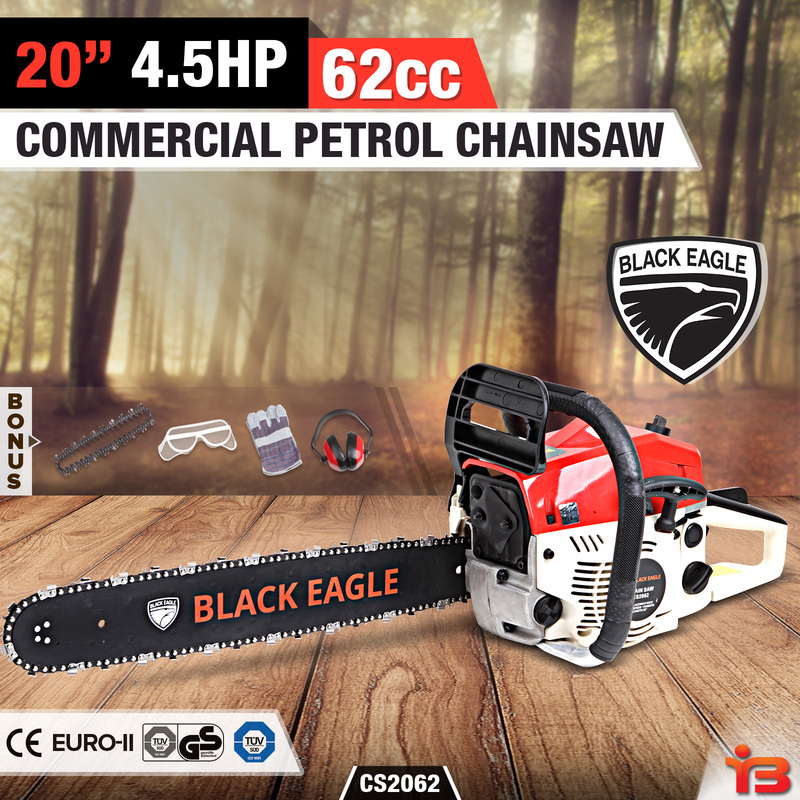 The Black Eagle chainsaw has a fuel tank capacity of 550 ml to make top-up times less as well as an oil tank capacity of 260 ml. 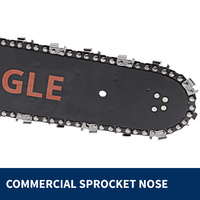 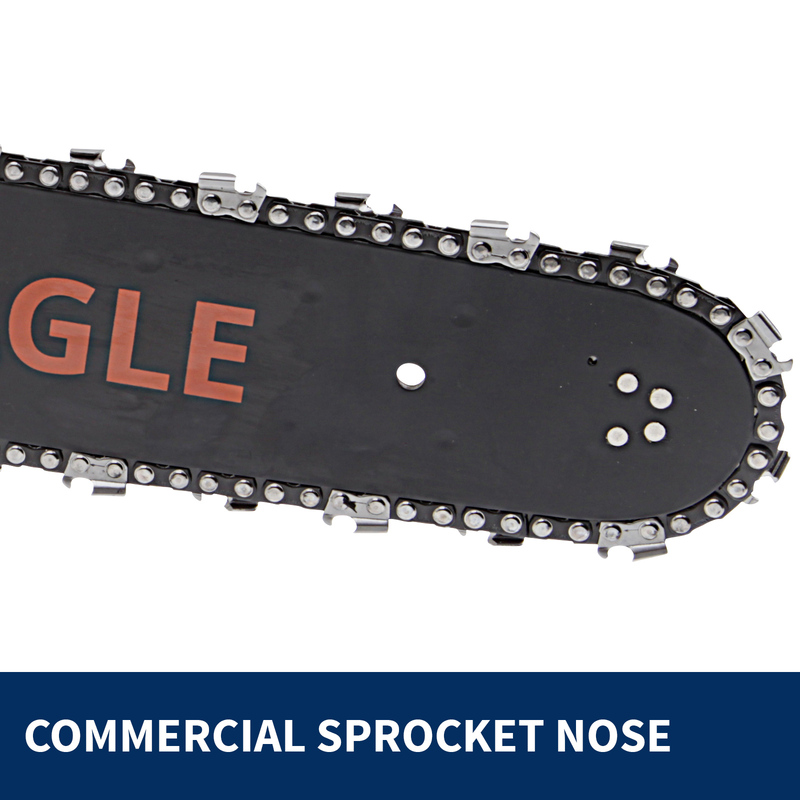 The 20-inch sprocket nose bar will ensure precision cutting for those stubborn areas. 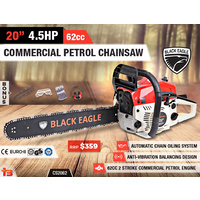 Easy and quick assembly of the parts is required for shipping purposes and you can rest assured that all spare parts are readily available. Your Black Eagle chainsaw weighs a mere 6.8 kg, enabling you to use it for longer without the burden of muscle strain. 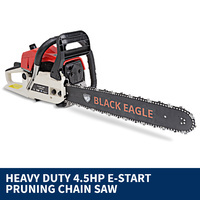 The Black Eagle chainsaw has a list of added features to help make the most of your gardening experience. 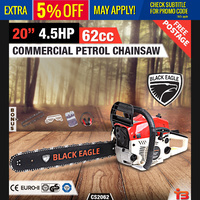 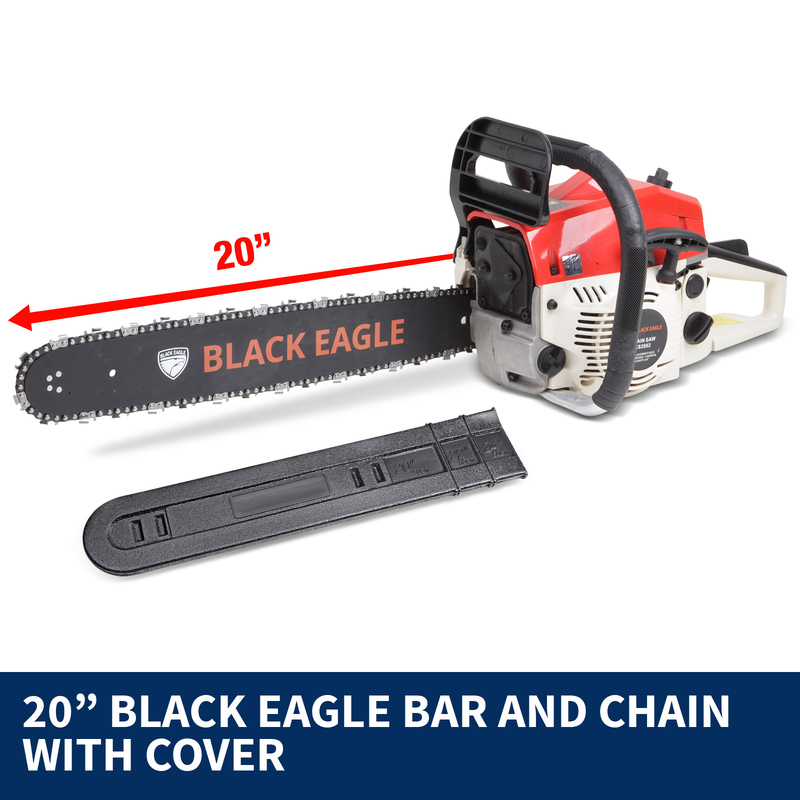 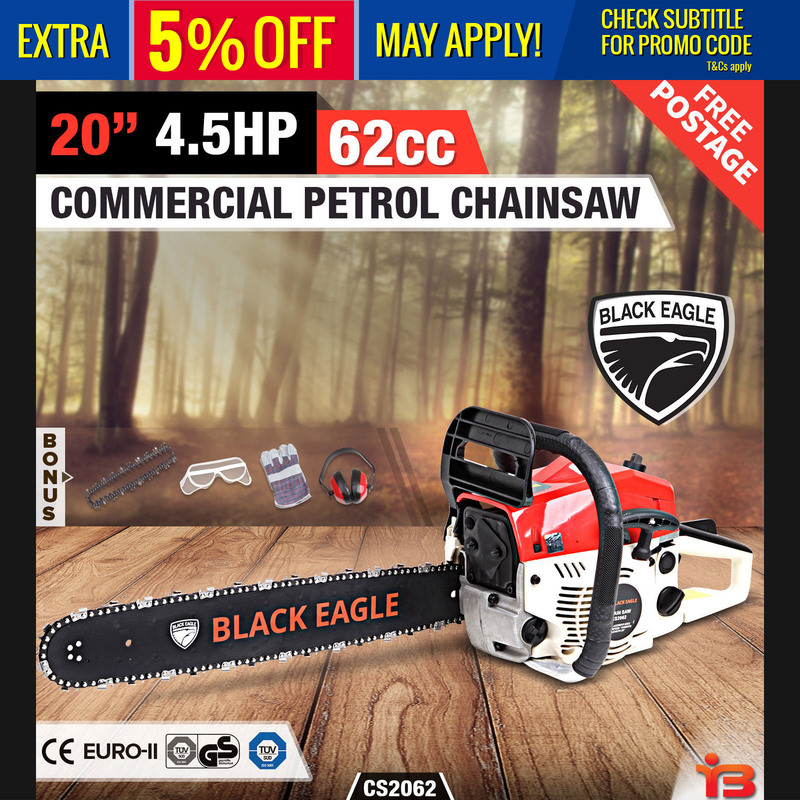 Your package includes the following: one Black Eagle 62cc petrol chainsaw, one bar cover, chain, fuel mixer, user manual, one year warranty as well as a free tool kit! 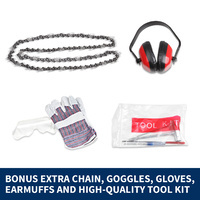 As an added bonus we have included one extra chain, safety goggles, gloves, and earmuffs. 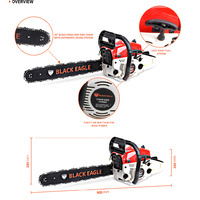 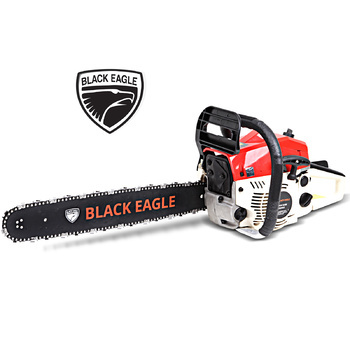 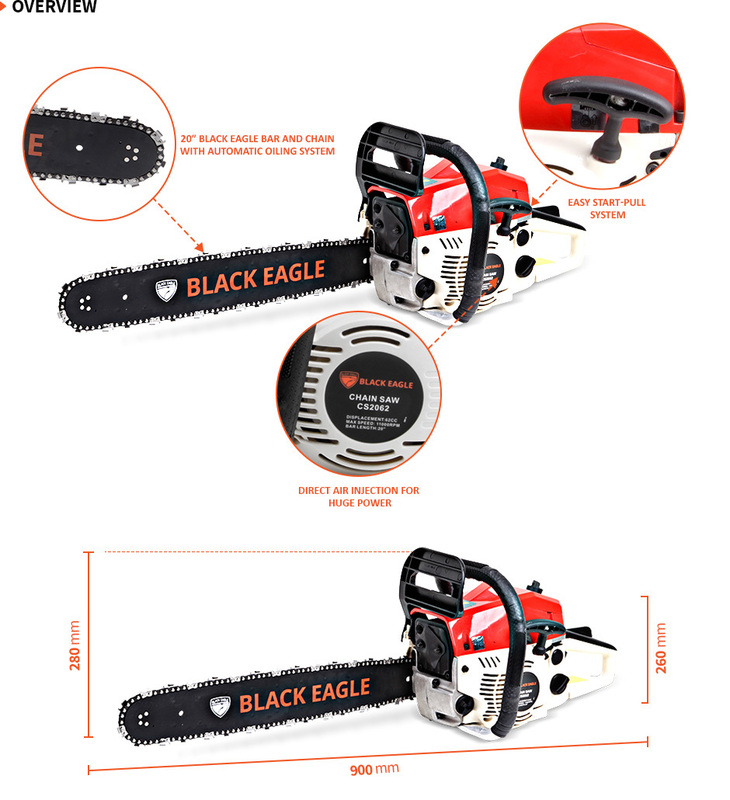 Get your Black Eagle Chainsaw today and put the enjoyment back into garden maintenance!